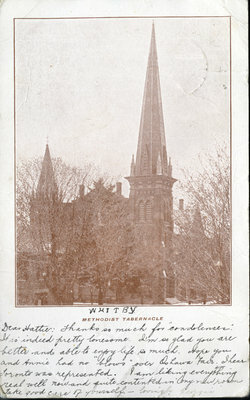 A postcard of the Methodist Tabernacle. There is a message written under the picture. Miss Hattie Richardson, Columbus, Ont. Methodist Tabernacle, c. 1903, Creator Unknown. Whitby Archives P2013_001_004A.